Here is a quick tutorial about how to make VLC media player use Ubuntu desktop notifications in Ubuntu 14.04 Trusty LTS. VLC is one of the most widely used media player in Linux desktops. 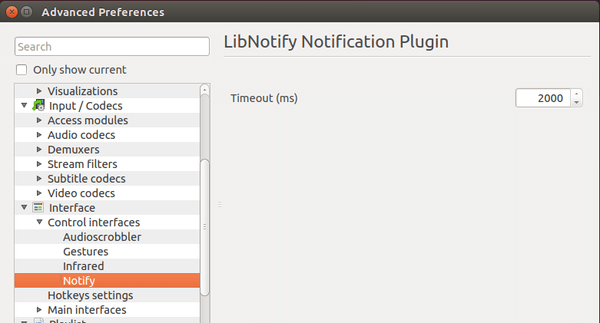 It is well integrated with Ubuntu Unity except that it does not use the native libnotify daemon so that you won’t see any notification bubble that indicates what’s playing. To enable this feature, follow below steps. 1. Open VLC media player, go to menu Tools -> Preferences. 2. On the left bottom, choose All to display all VLC settings. 3. 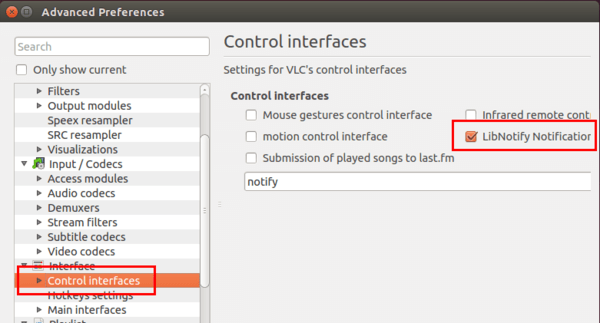 Go to Interface -> Control Interface, check the box where it says “LibNotify Notificatior” to make VLC use Ubuntu’s notification daemon. 4. Click to expand Control Interface in left sidebar and you can change the notification bubbles timeout under Notify settings. Restart VLC media player and enjoy!